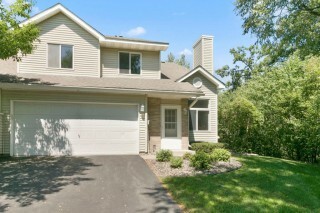 Here's your End Unit Townhome with Great views & Privacy on dead end street. Now's the chance to enjoy the Vaulted Ceiling, Gas Fireplace & 2 Car attached Garage. Upstairs has 3 rooms (1 doesn't have a closet so called an office or could be opened into a loft area) large Bathroom & Laundry (all appliances stay). Main floor does have another Bathroom, Pantry Storage & newer Furnace. Don't miss Patio area where wildlife abounds. Quick close.